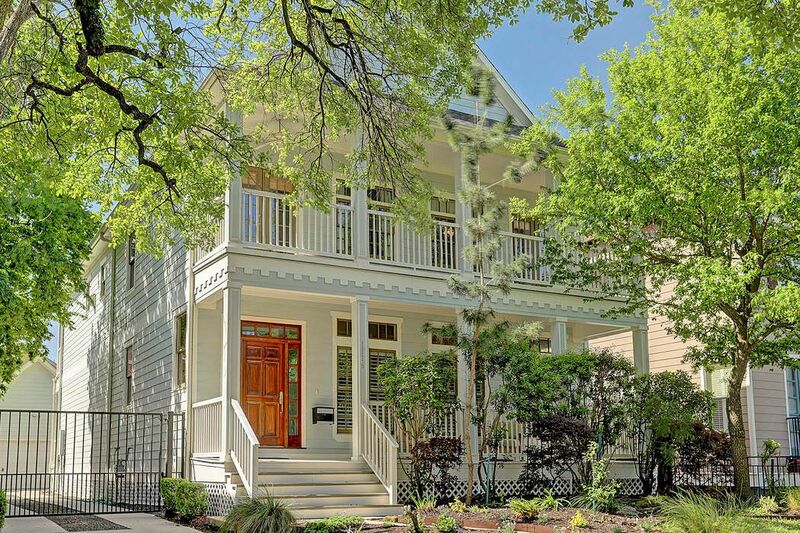 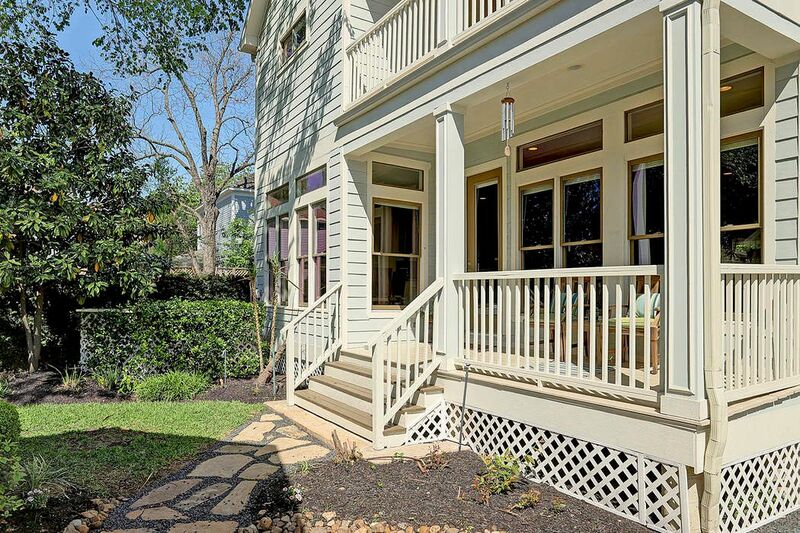 1116 East 7th Street, Houston, TX 77009 | Martha Turner Sotheby's International Realty, Inc. 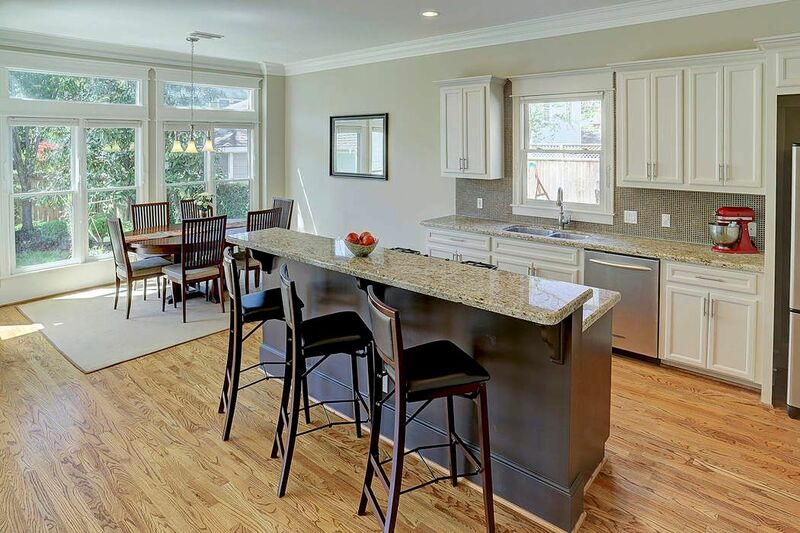 This recent construction home built by Heights Development in 2005 sits on a 6600 square foot lot in a prime Woodland Heights location. 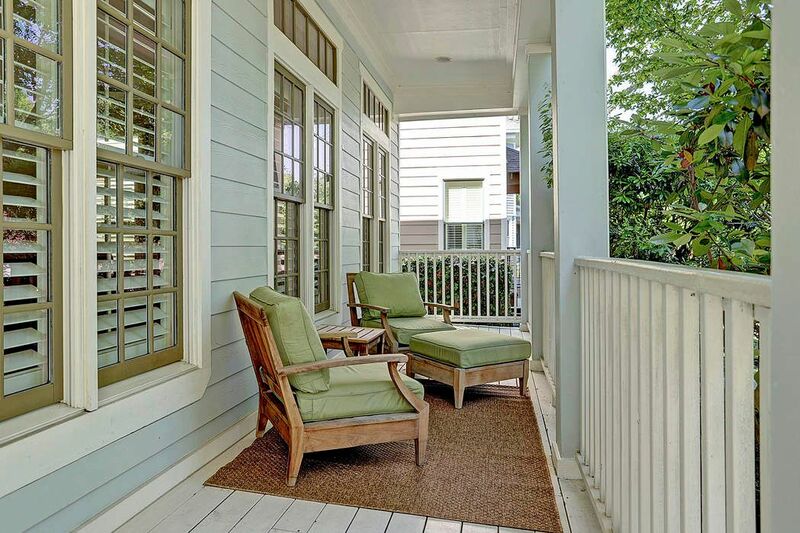 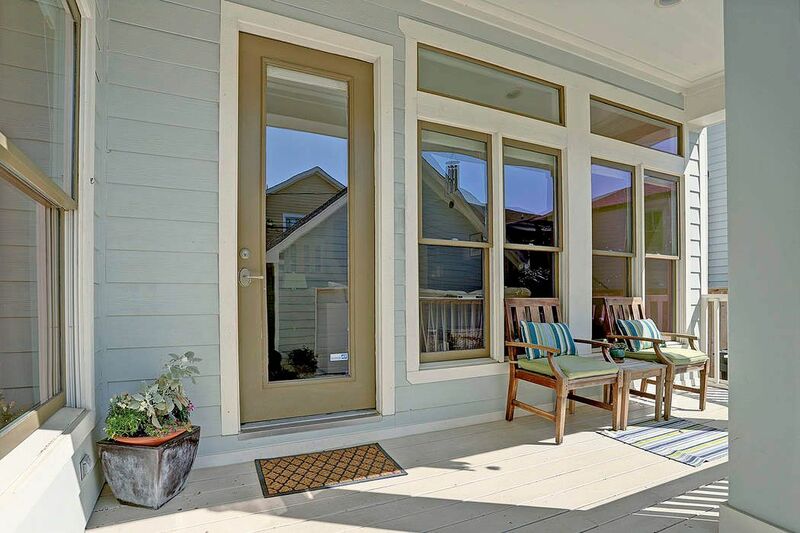 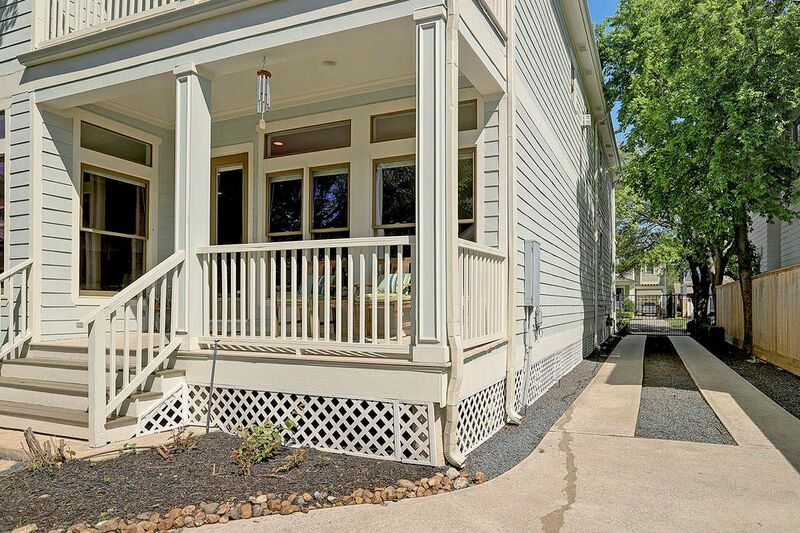 A covered porch and balcony flank the front of this 3,934 sqft (per appraisal) 4 bedroom, 2 ½ bath home. 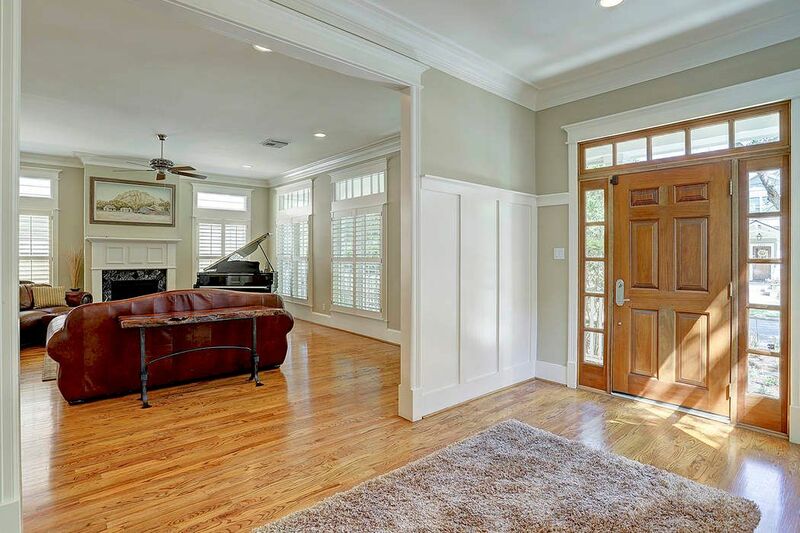 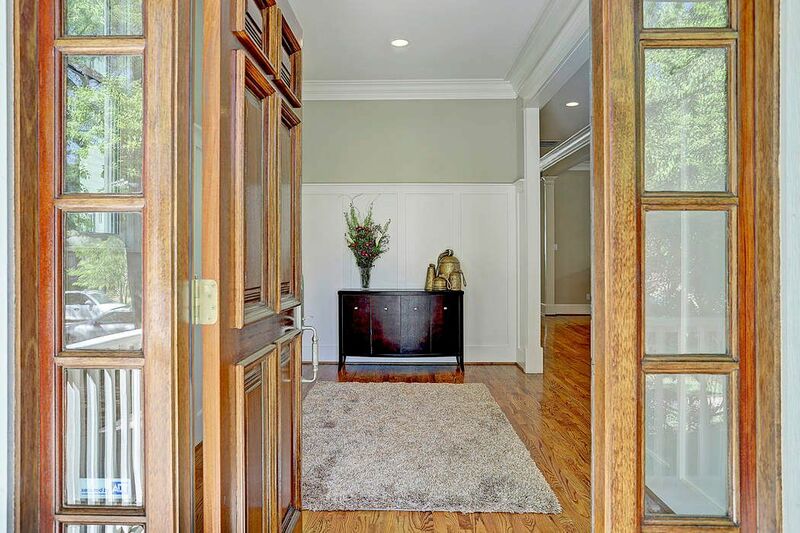 The spacious foyer is located off the living room and features recessed lighting, crown molding, block paneled walls, a front door with a transom and side lights, neutral paint and wood floors. 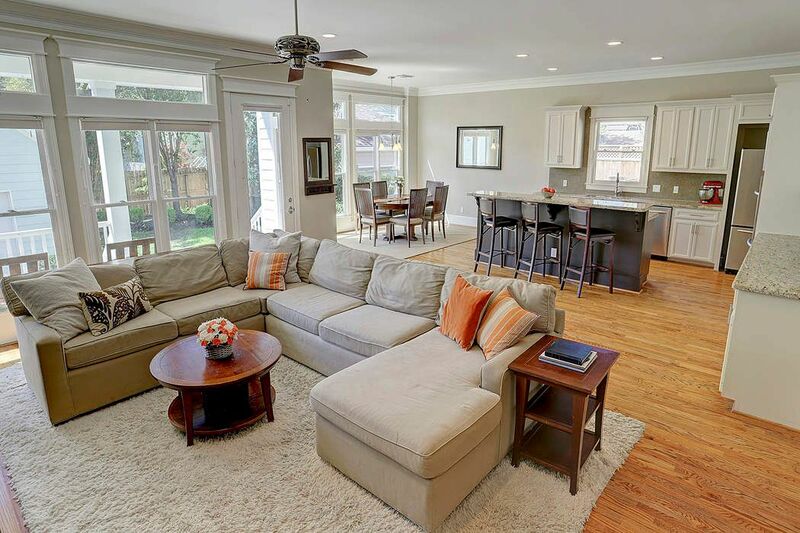 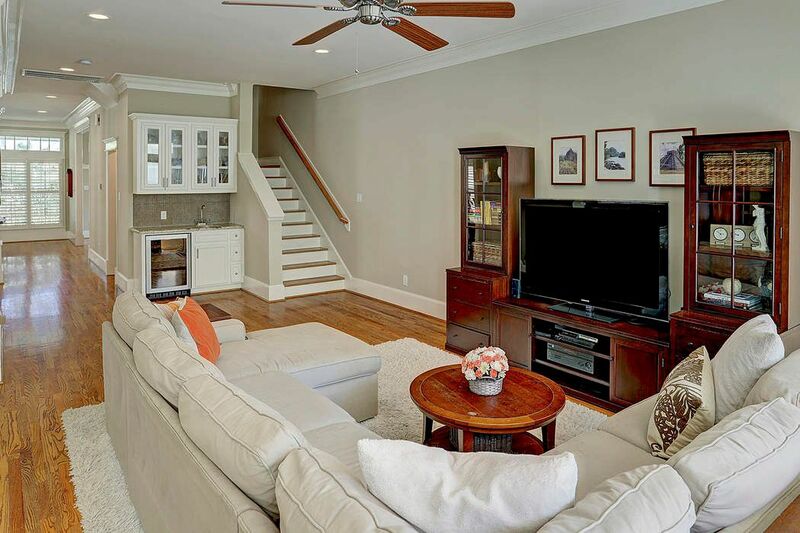 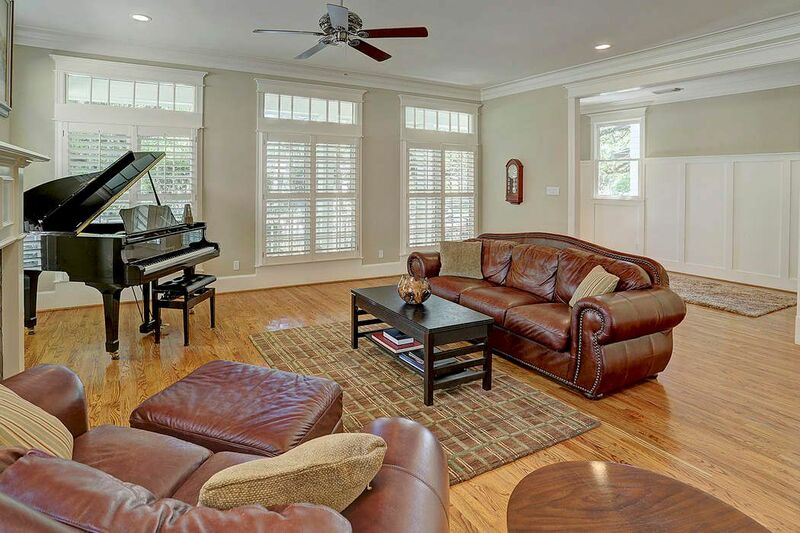 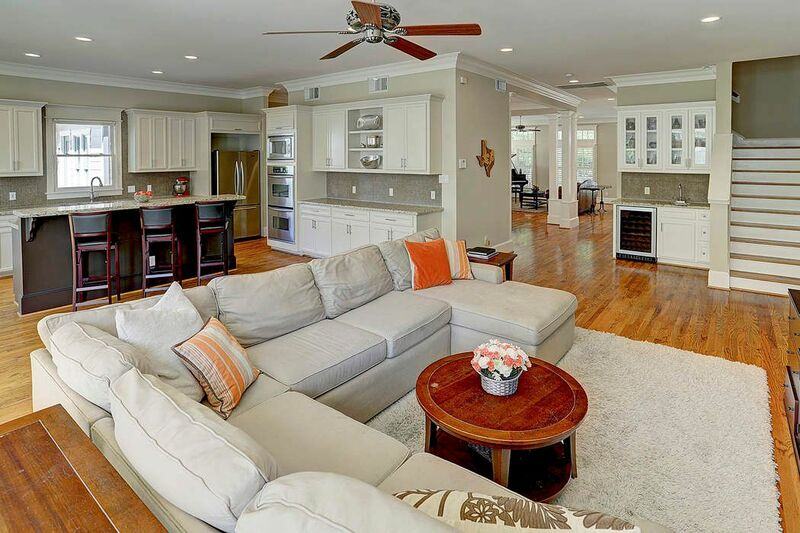 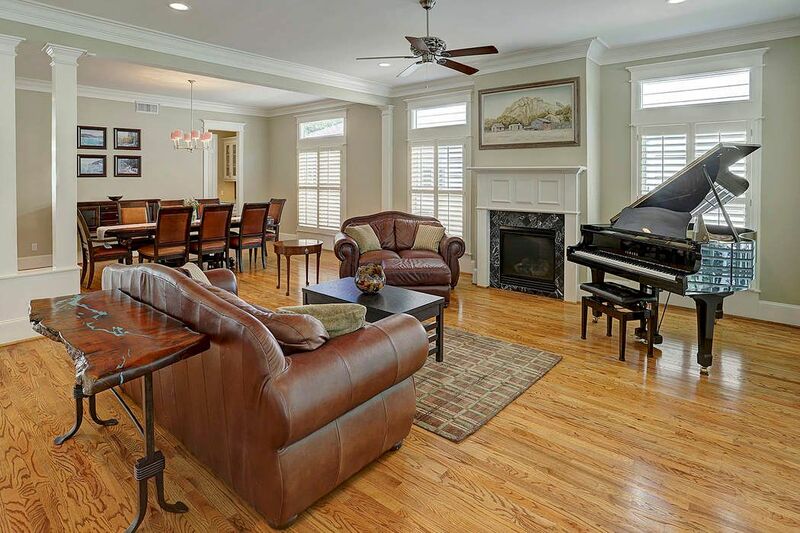 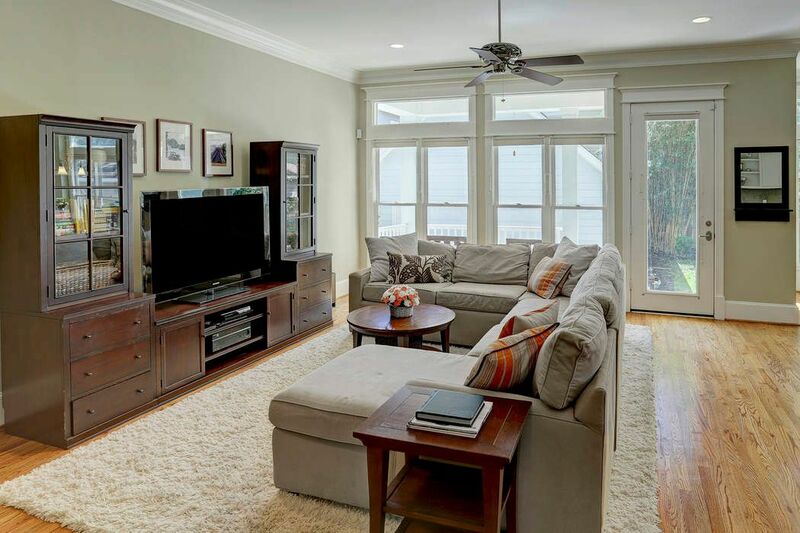 The 23’ x 19’ living room has recessed lighting, ceiling fan, crown molding, transom windows and plantation shutters. 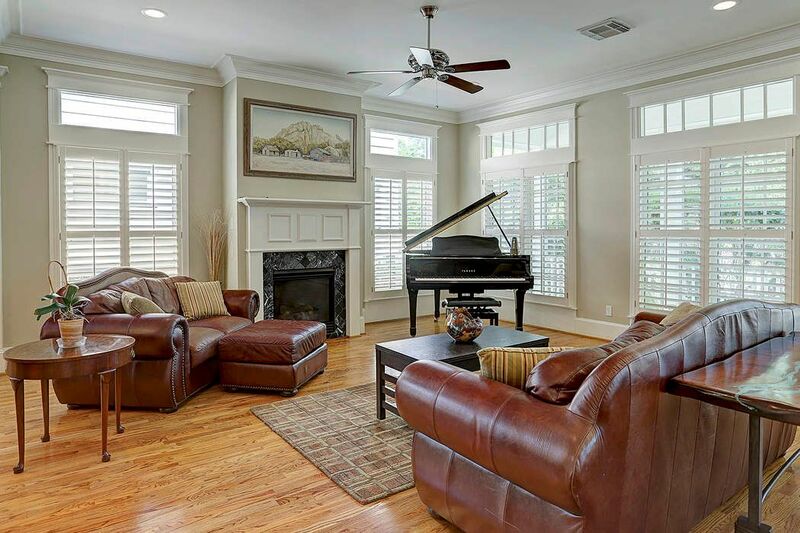 A gas fireplace, neutral paint and wood floors finish the room. 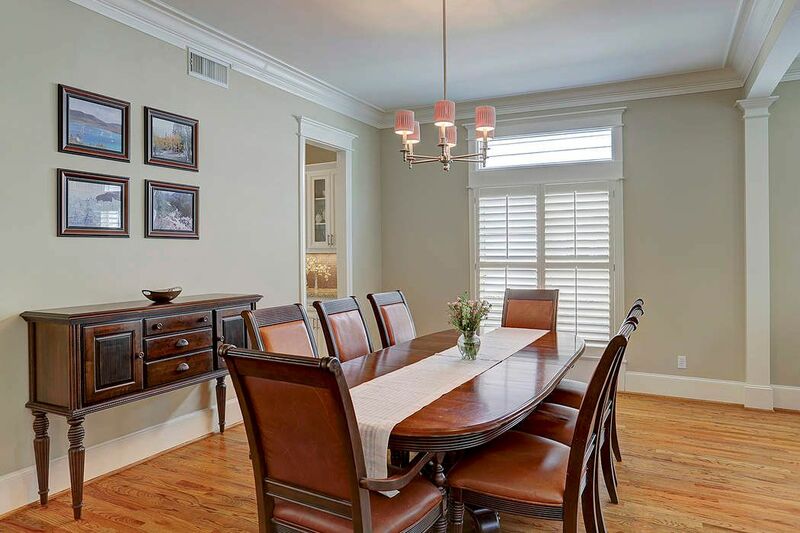 Located off the living room is the dining room with a 6-light chandelier, crown molding, wood floors and neutral paint. 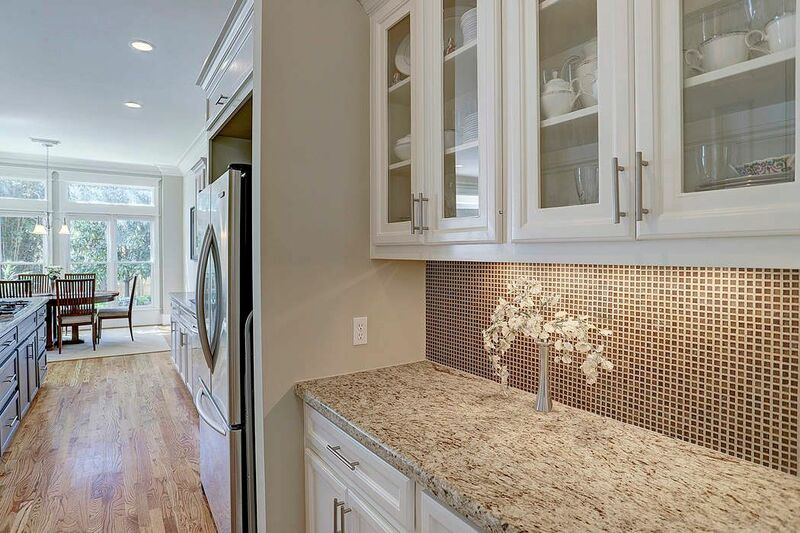 A butler’s pantry with glass front cabinets and granite countertop connects both the kitchen and dining room and accesses the large walk-in pantry. 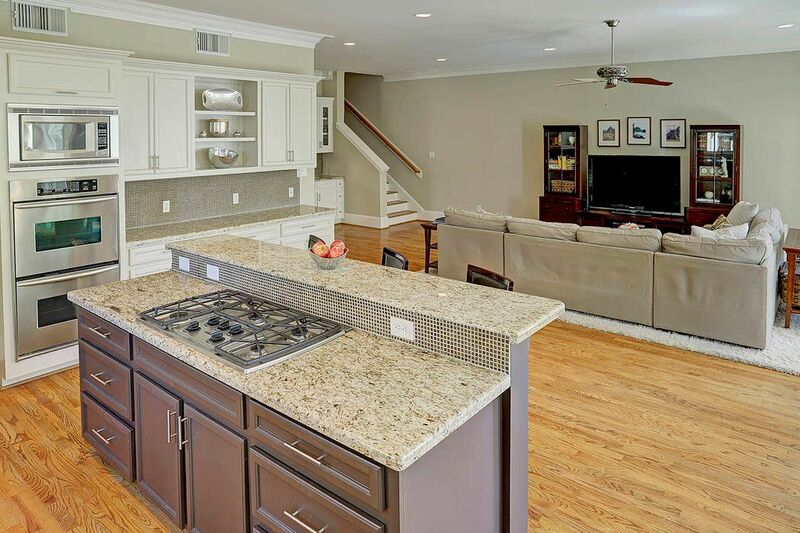 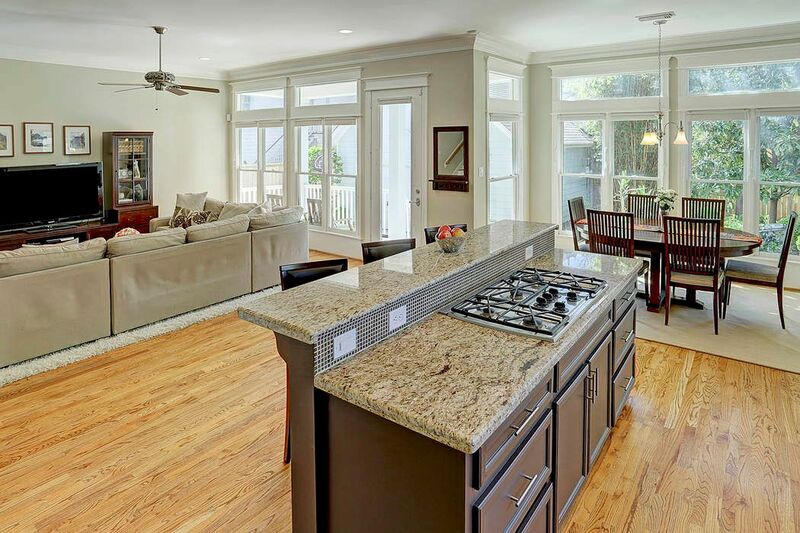 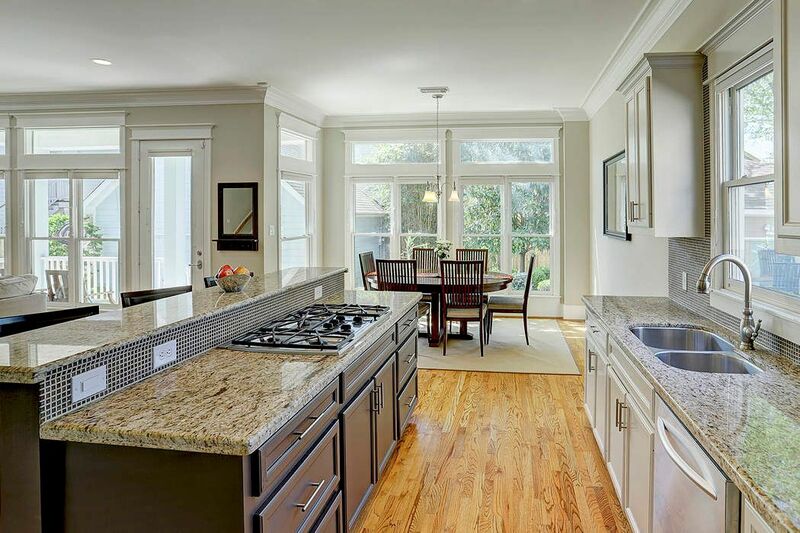 The kitchen features a breakfast bar, granite counters, gas cooktop and wood floors. 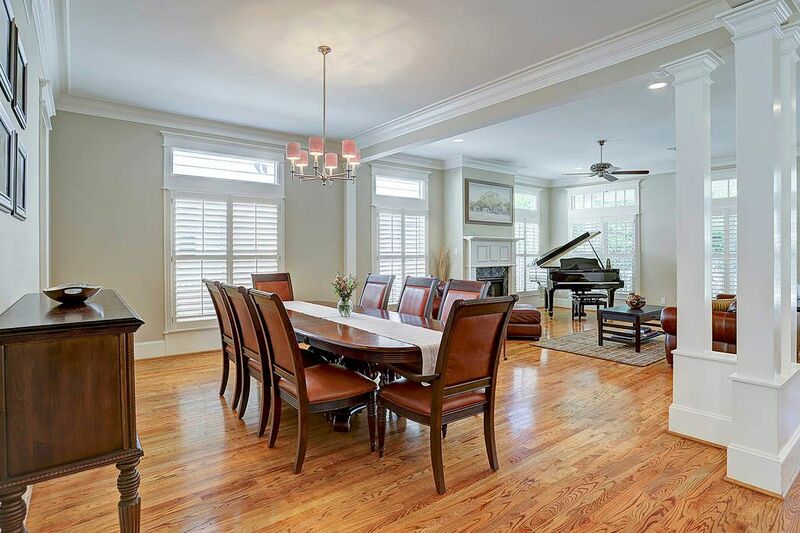 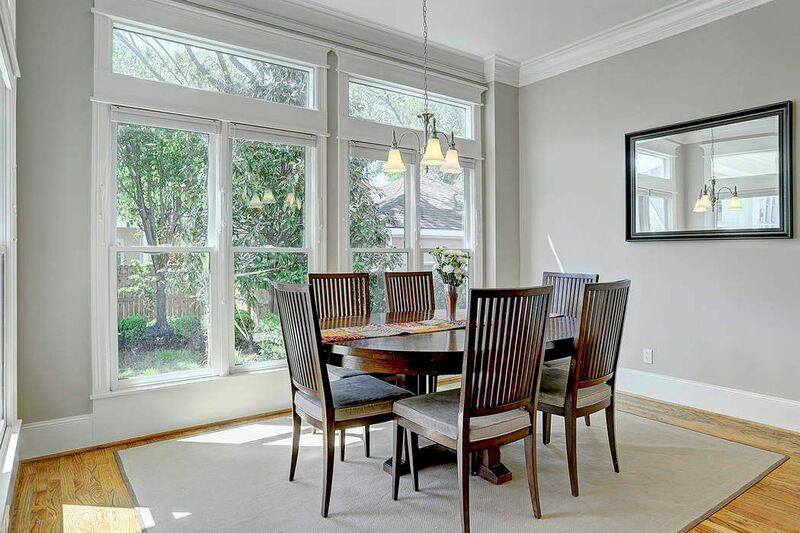 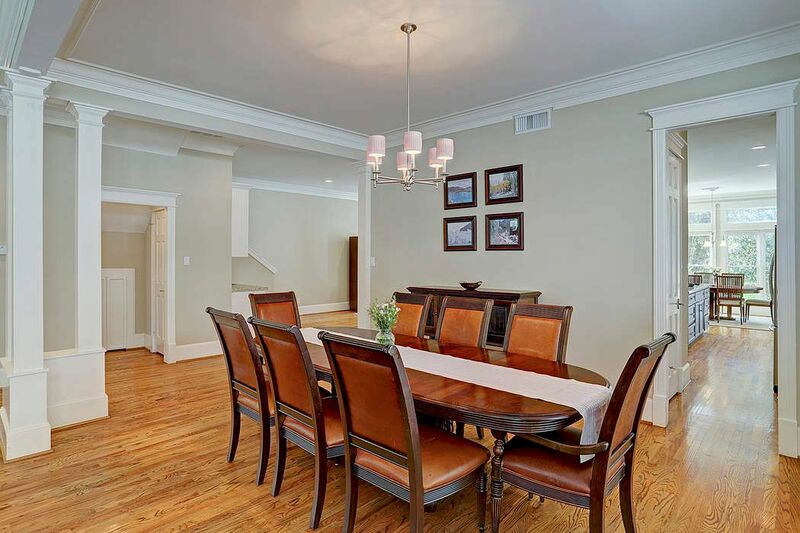 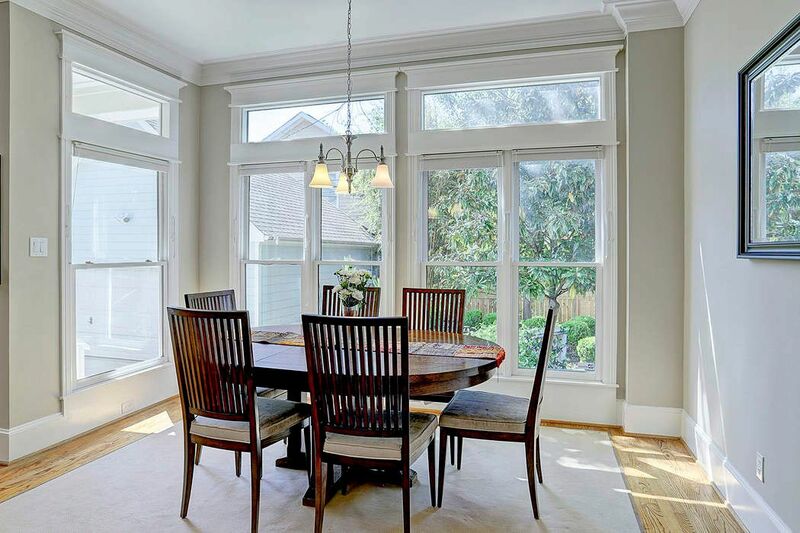 Crown molding, 3-light chandelier, transom windows, neutral paint and wood floors are features in the breakfast room. 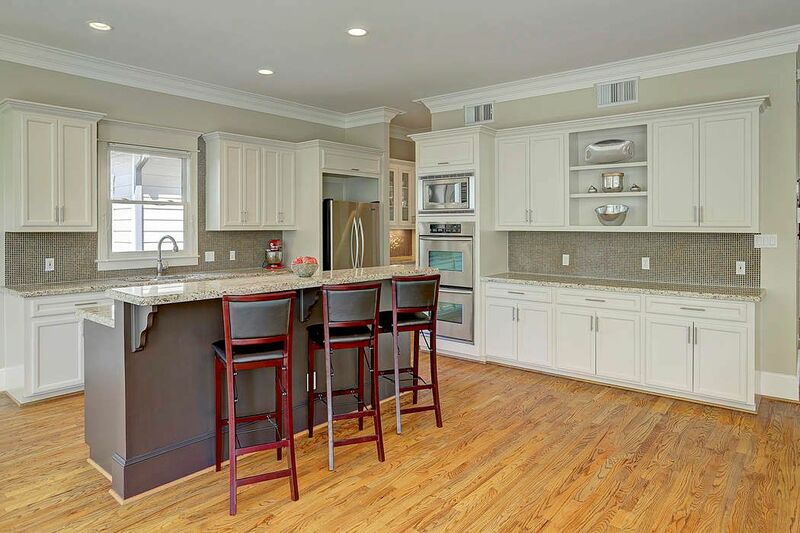 The kitchen also boasts crown molding, an additional serving bar with open shelving, stainless steel double ovens and built-in microwave. 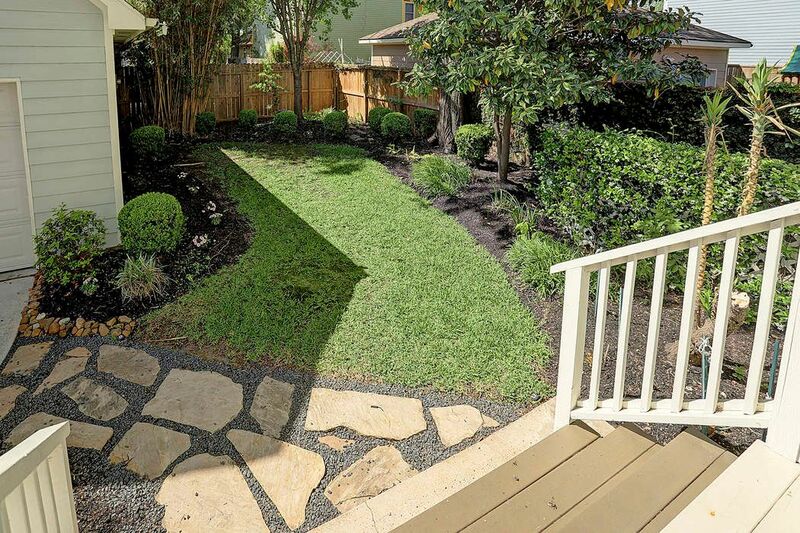 The backyard has fresh landscaping with pavers to an oversized garage. 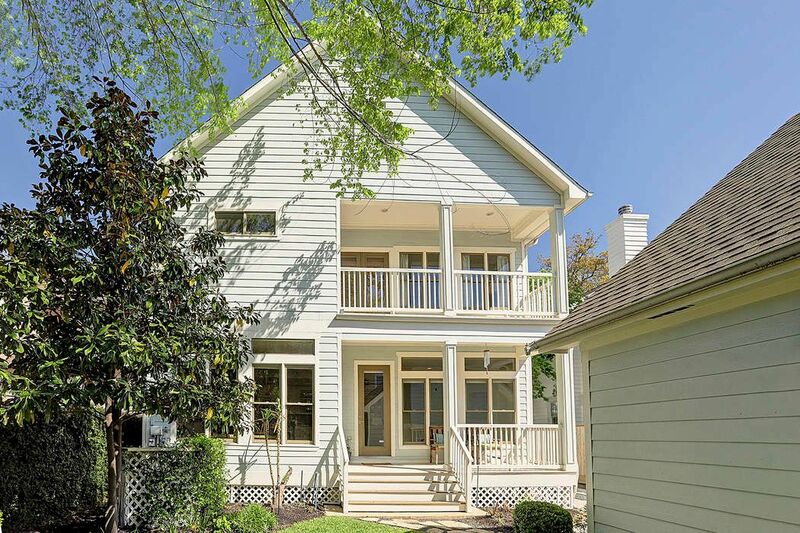 An additional covered porch and balcony are located at the rear of the home. 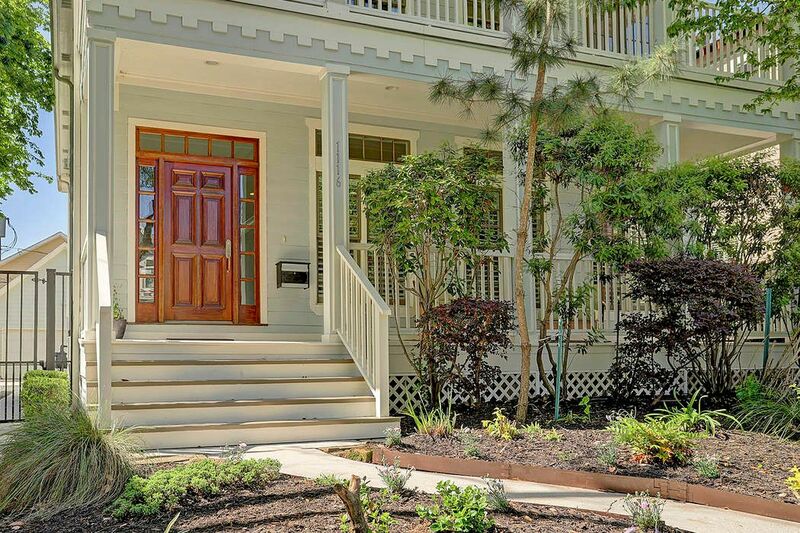 The gated driveway allows for an abundance of play space. 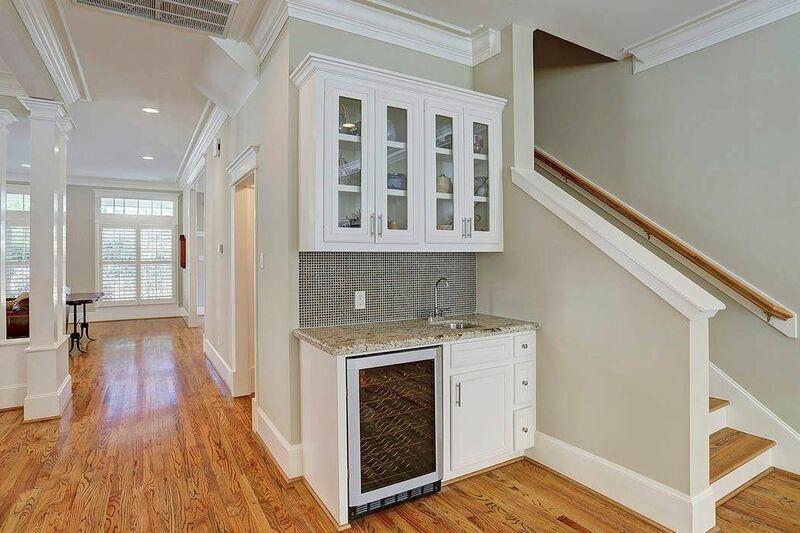 A wet bar with glass front shelving is located off the den and dining room. 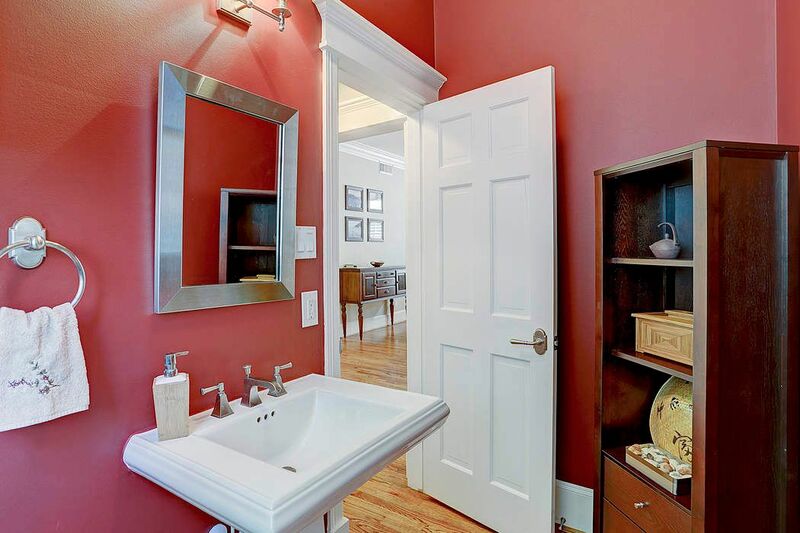 The powder room featuring a pedestal sink is conveniently located off the den and dining room. 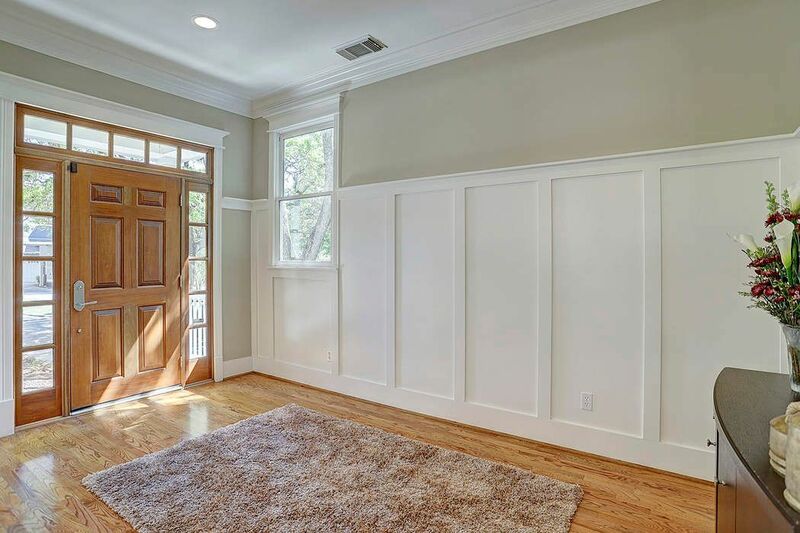 Recessed lighting, a ceiling fan, crown molding, neutral paint and access to a covered deck are features in this master suite. 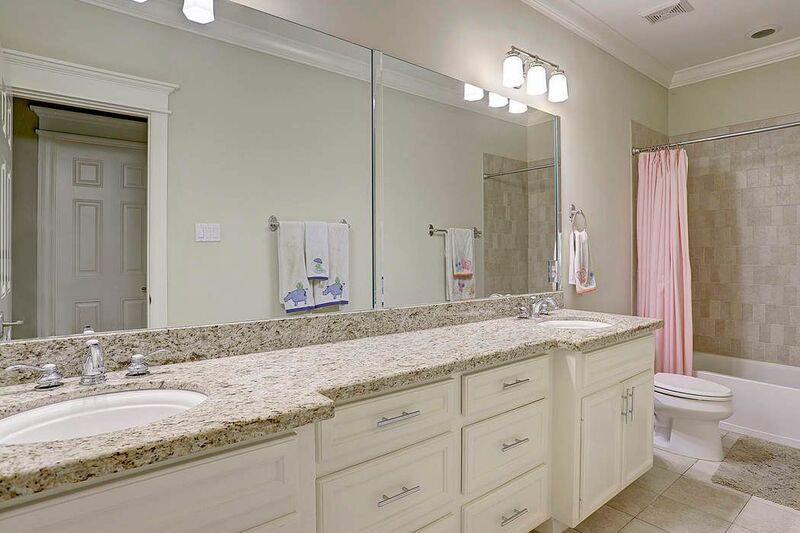 The master bath has recessed lighting, crown molding, separate tub and shower with tiled wall surround, dual vanities with granite countertops, tile flooring and a private water closet. 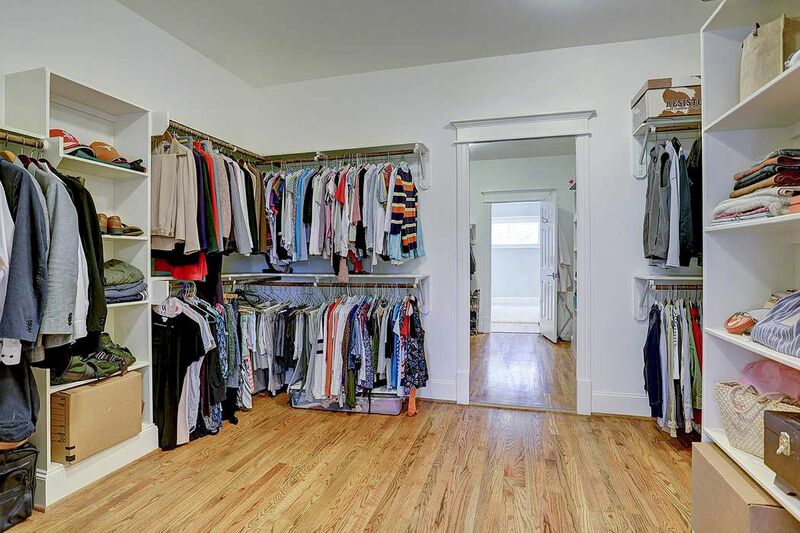 The expansive master closet has built-in shelving and a full length framed mirror. 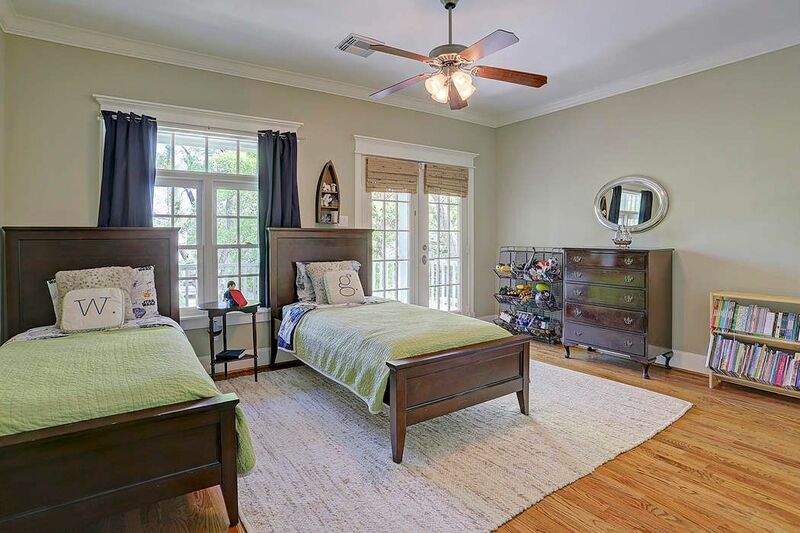 This room is currently being used as a study/music room and is adjacent to the master bedroom. 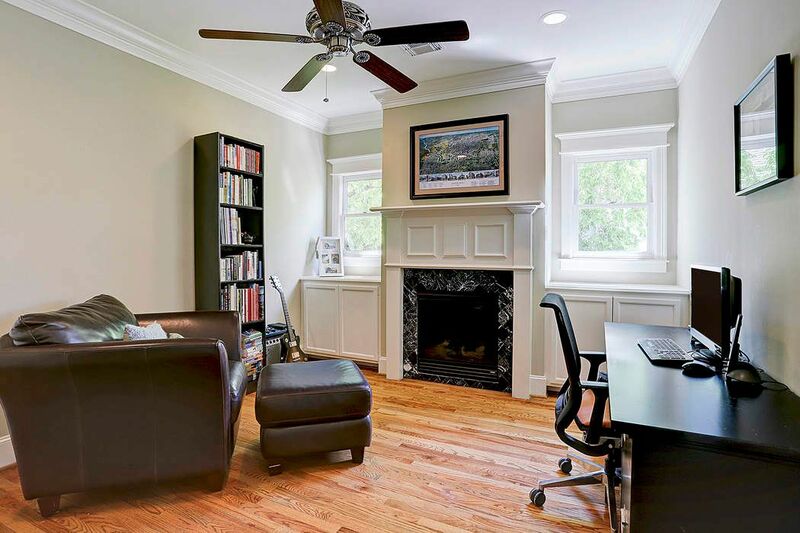 It features recessed lighting, a ceiling fan, crown molding, neutral paint, wood floors and a gas log fireplace. 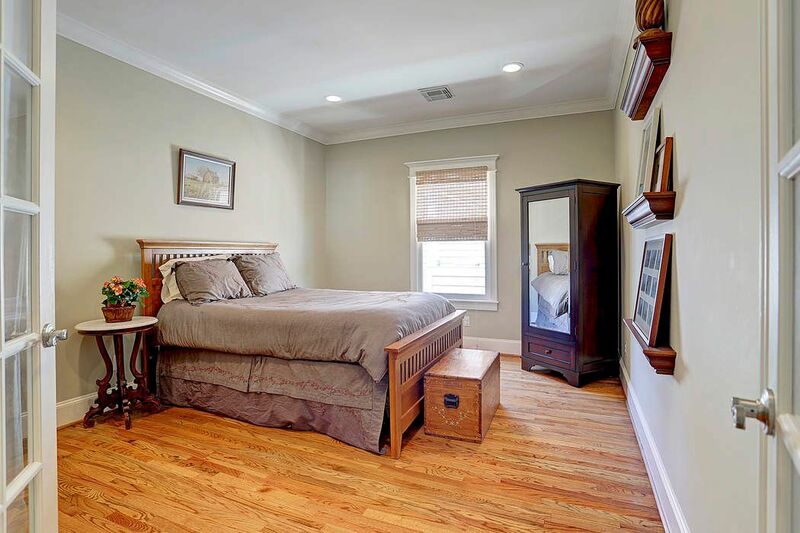 Secondary bedroom has recessed lighting, crown molding, neutral paint and wood floors. 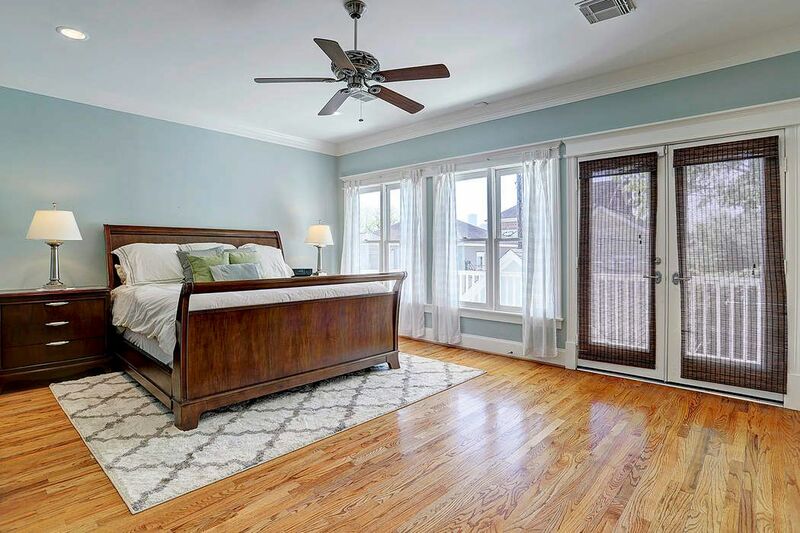 This secondary bedroom has access to the covered front balcony, crown molding, a ceiling fan, neutral paint and wood floors. 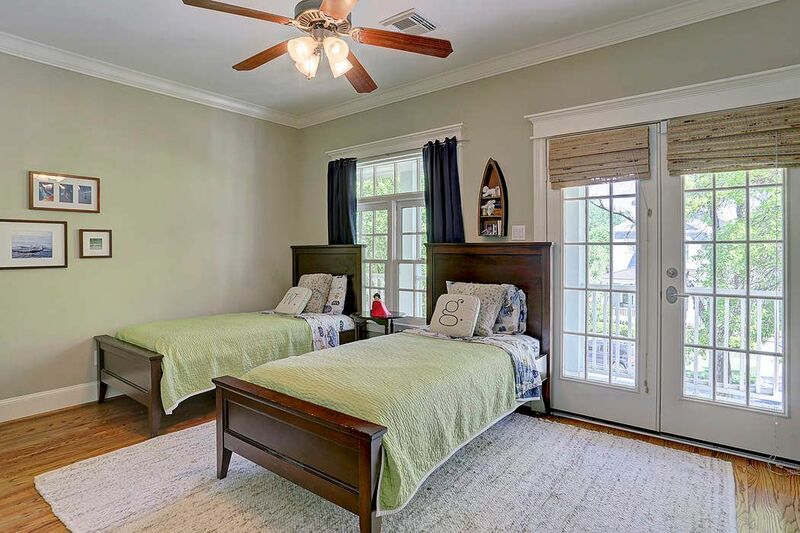 A third secondary bedroom has access to the covered front balcony, crown molding, a ceiling fan, neutral paint and wood floors. 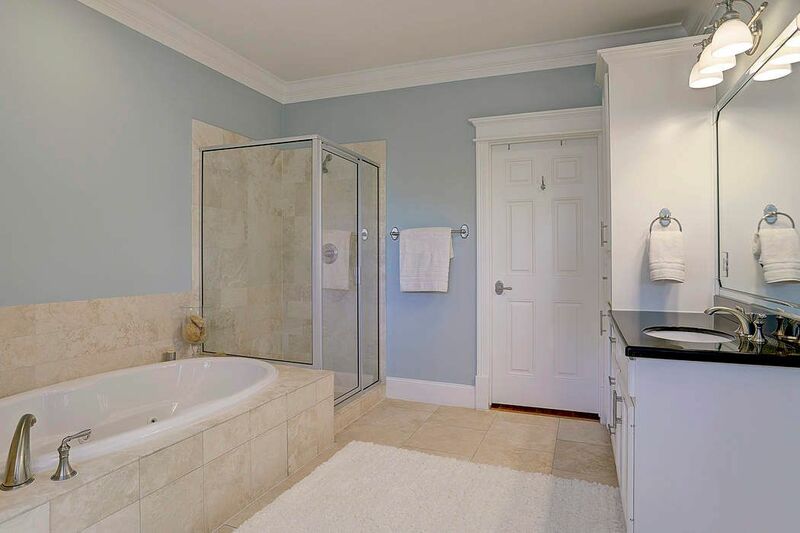 Crown molding, neutral paint, dual sinks with granite countertops and tile floors are featured in the secondary bath. 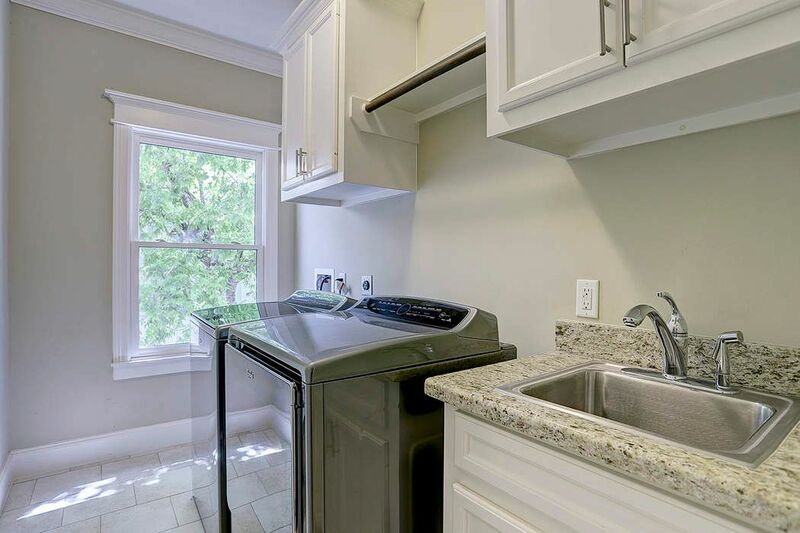 The utility room located on the second floor has crown molding, neutral paint, basin and granite countertop and tile floors. 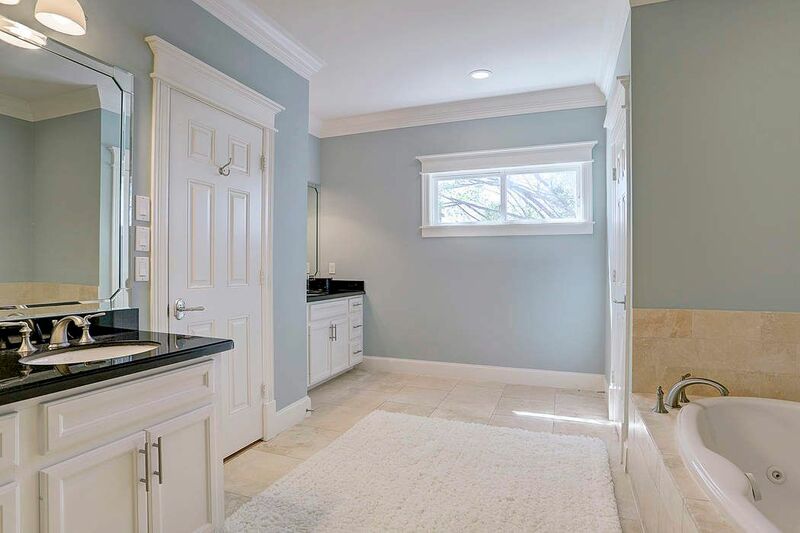 $1,125,000 3 Bedrooms2 Full / 1 Partial Baths3,934 sq. 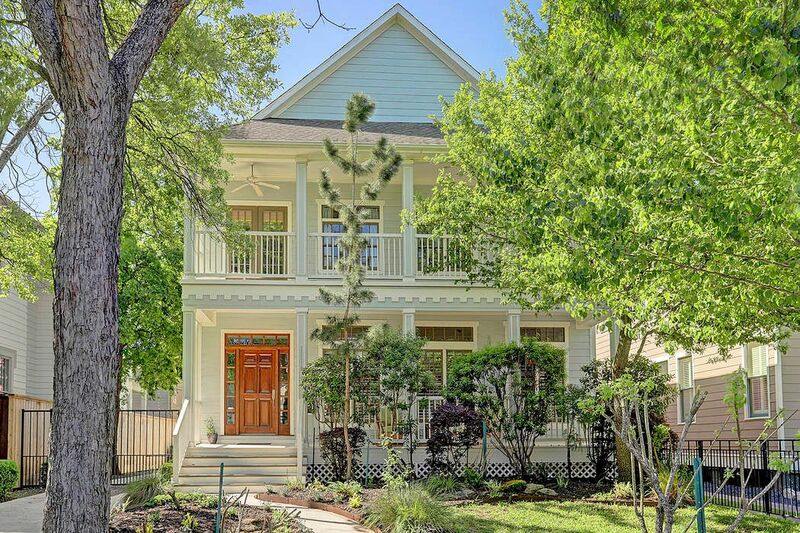 ft.
Nestled amongst the trees, this recent construction home with 2 covered balconies & 2 covered porches sits on a 6600 sqft lot in a prime Woodland Heights location. 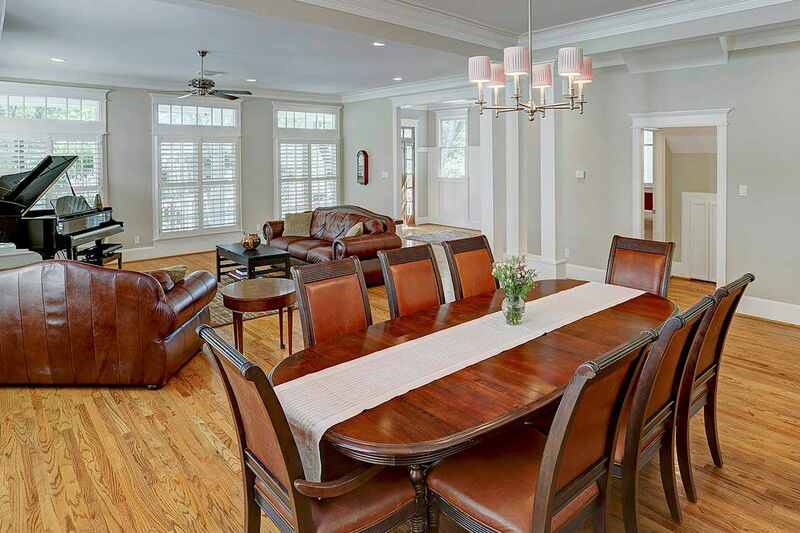 Providing an expansive and open-style floor plan this home offers buyers an abundance of natural light and entertaining spaces. 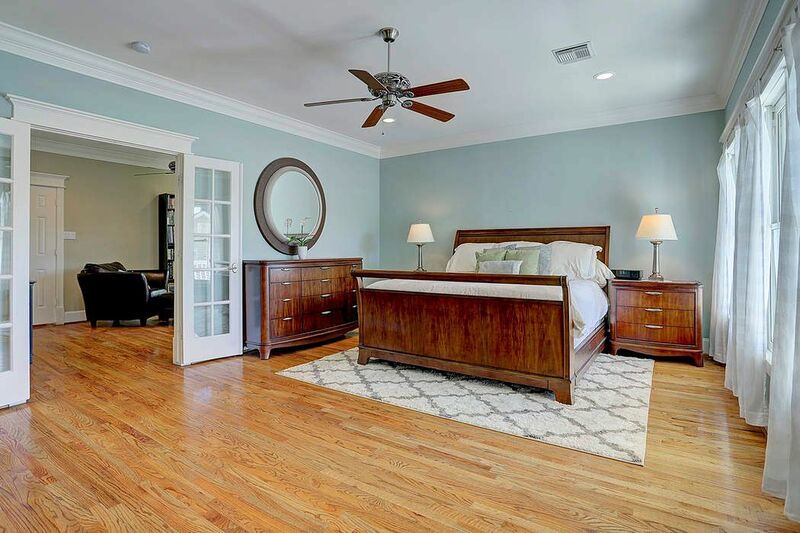 Master suite allows for an office and or TV room, large bedroom with covered balcony, bathroom with separate soaking tub, walk in shower and large closet. 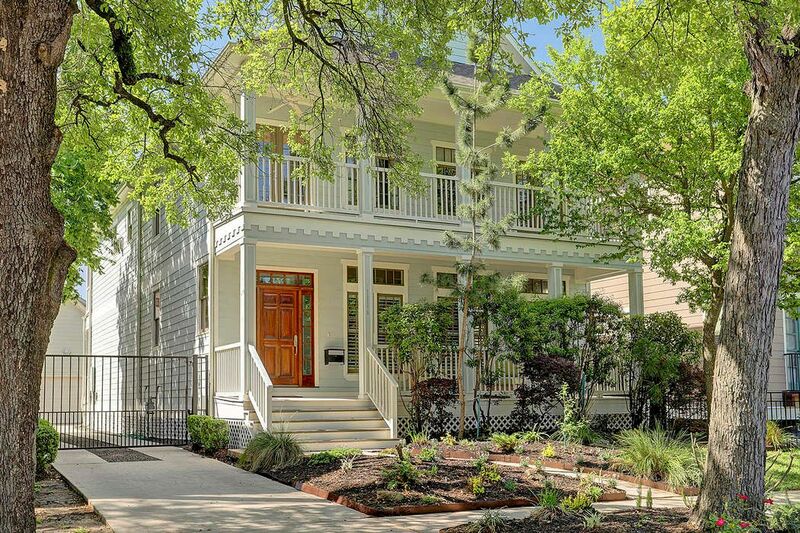 Oversized 2-car garage and gated driveway.